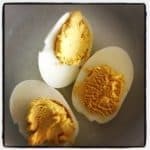 Easy Curried Devilled Eggs - low carb and gluten free. 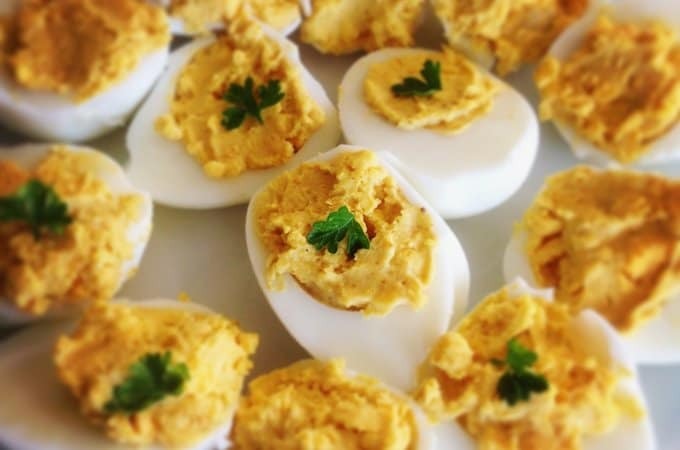 I remember curried devilled eggs in my childhood at parties and get togethers, so decided to make them for the first time. Curried devilled eggs are pretty easy, so I don’t know if I should even be posting this as a recipe, but more of an idea. Sometimes we forget the easiest recipes. Put eggs in a saucepan full of COLD water and bring to the boil. This is important to stop them from cracking as they cook. Once boiling, lower to a simmer and cook for 6 minutes. Pour out the boiling water and cover in cold water to stop them cooking any further and it will stop the yolks from discolouring. Once cold, peel and cut eggs in half. Pop the yolks out into a bowl, mix with mayonnaise or butter, and add curry powder to taste. Spoon the yolk mixture back into the egg white cases. These make a great snack, lunch and are fabulous for school lunch boxes. 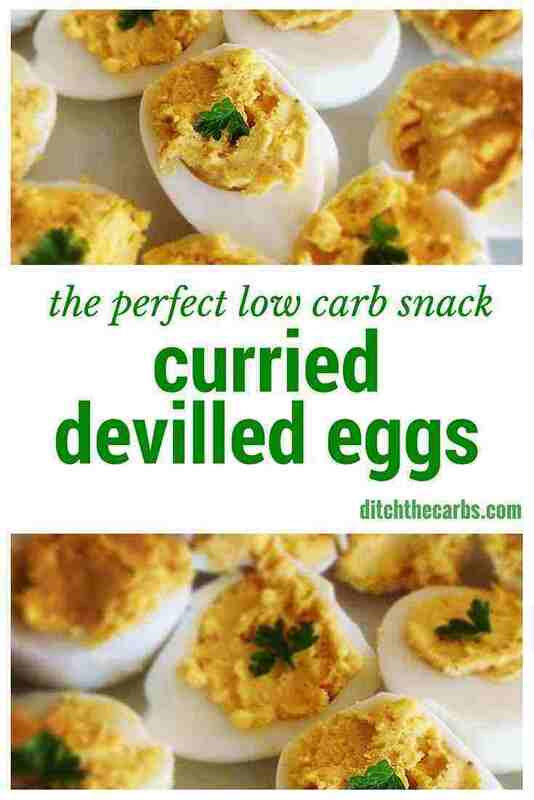 Curried devilled eggs can be favoured with curry powder, chilli or even mustard. They are the perfect high protein and high fat snack. Once cold, scoop out the yolks and mix with mayonnaise and curry powder. Place a spoon of the yolk mixture back into the egg white. For more school lunch ideas, take a look at my series on Low Carb Kids. 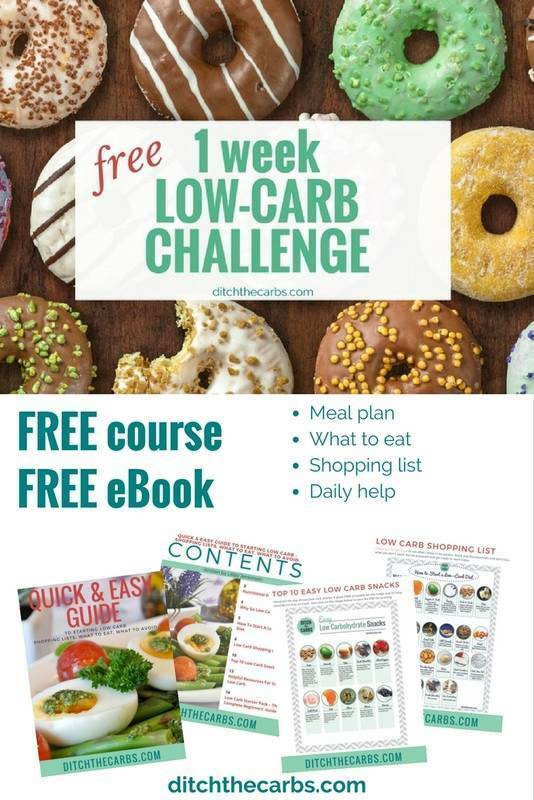 Free printable guide to help get your children involved in planning their school lunches, 2 week guide and images on the lunches I make, tips, tricks etc. 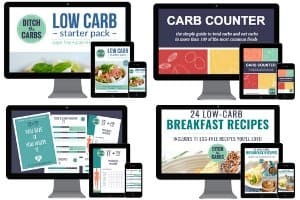 If you are new here, this page may help you get started and this page will show you what I keep in my pantry. what are the amounts of the ingredients? I do a similar thing but with paprika and cheese! Delicious!